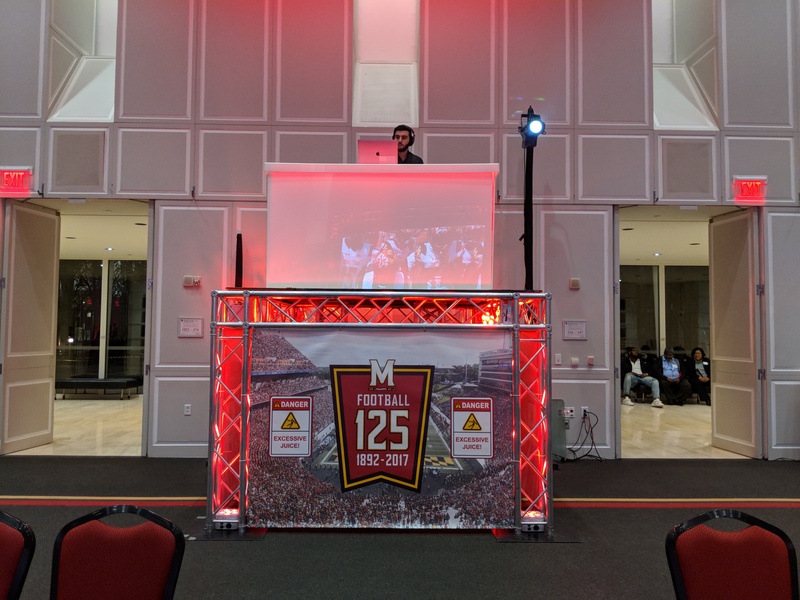 As college football fans and lovers of University of Maryland football, the Electric Events team was especially excited to work on the Terps Football team's annual awards banquet this month! 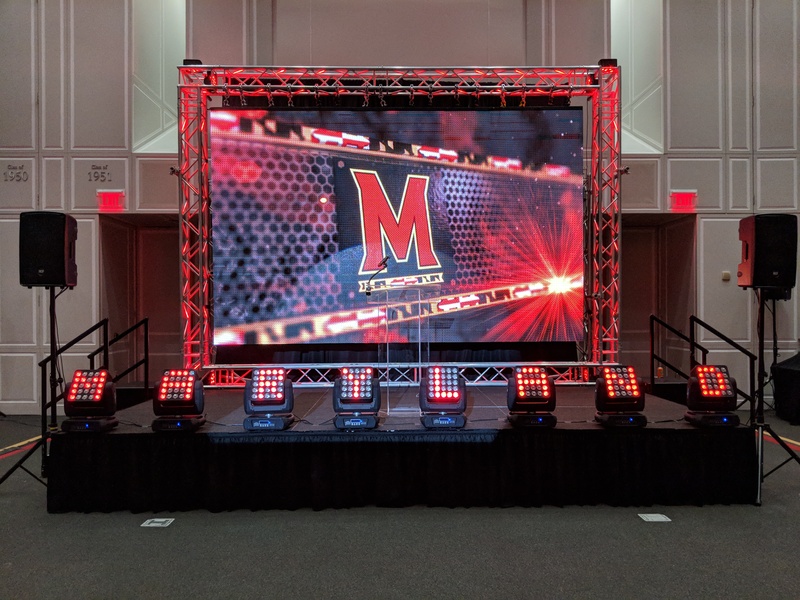 Audio visual services were at the forefront of this project, as we provided the stage set including LED wall, lighting, sound, uplighting and even LED tabletops! 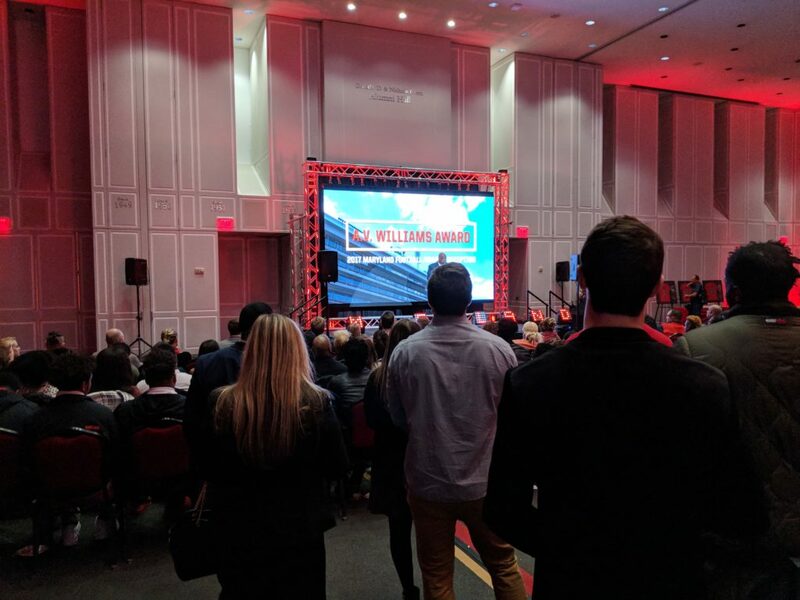 (They really brought the Riggs Alumni Center to life!) 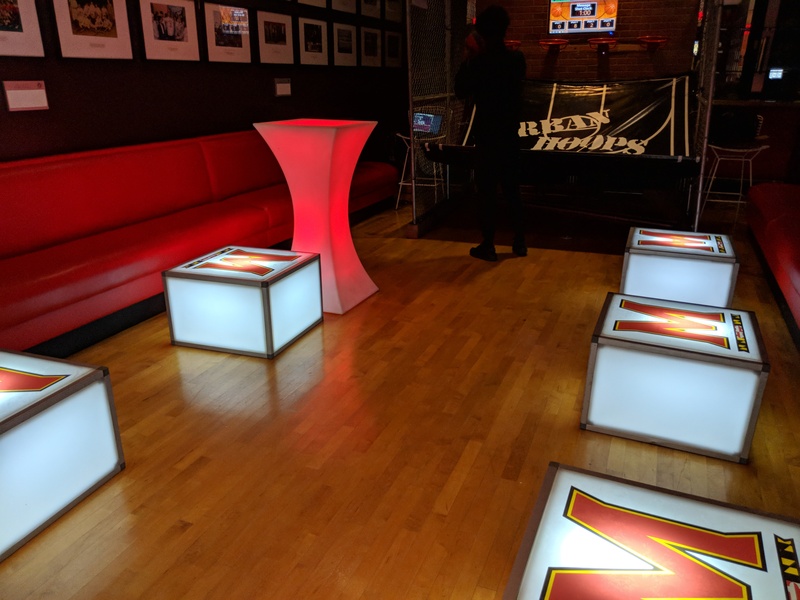 Novelty items were also a big hit for this affair, with guests lining up to take advantage of our Magic Mirror Photobooth and Urban Hoops basketball game.